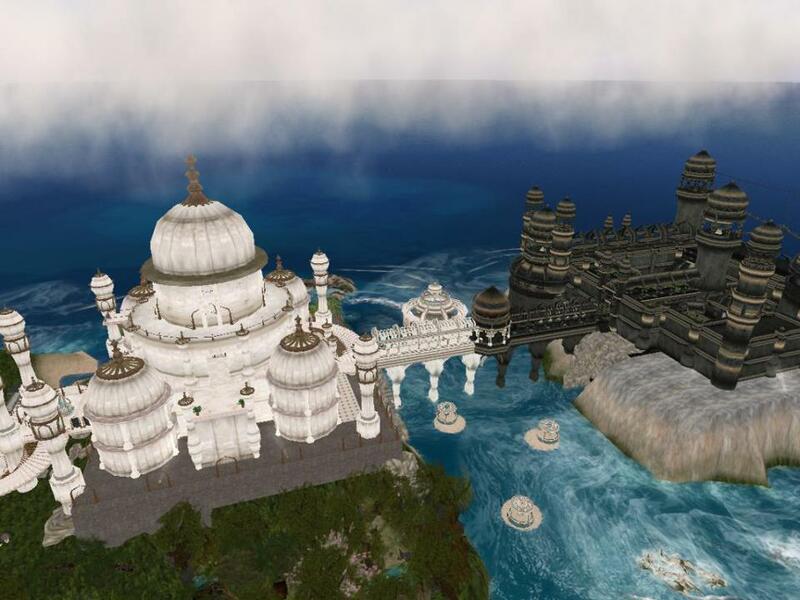 According to the Black Taj Mahal myth, Shah Jahan had planned to build mirror image of the Taj Mahal in black colour on the other side of the river Yamuna and connect the two by a bridge. This Black Taj was to be dedicated to Shah Jahan himself. A European traveller, named Jean BaptisteTavernier, who visited Agra in 1665 first mentioned the idea of Black Taj in his fanciful writings. And considering Shah Jahan's obsession with symmetry, the idea certainly seems possible. More credibility to the story is added by an observation made by archeologists in 2006, when they reconstructed a part of the pool in the moonlit garden and it reflected a dark reflection of the white mausoleum! The writings of Tavernier mention that ShahJahan began to build his owntomb on the other side of the river but could not complete it as he was deposed by his own son Aurangzeb.Fuel to the fire is further added as some scholar suggests that the blackened marbles in Mehtab Bagh, that lie on the other side of the river, are actually grim remains and foundations of an abandoned plan. On the other hand, scholars totally dismiss the theory of Black Taj as it was discovered that the black marble remains in the Mehtab Bagh are not natural black but have become black over the course of time due to staining and wear and tear. Also, Mehtab Bagh was built by the first Mughal Emperor Babur, years before construction of Taj Mahal even started. The theory is once again dismissed by some scholars who believe that if Shah Jahan wanted to build a Black Taj Mahal, he would have started working on it immediately after completion of the first Taj Mahal in 1653, after which he had 5 years before he got arrested.